Washington, DC, is within striking distance of all types of adventures. You can read by the ocean one weekend and hike mountains in Shenandoah National Park or visit a Civil War battlefield the next. Add a booming local wine and beer scene and there are now more reasons to get out town than ever before. This book is an idea generator for exciting ways to spend a weekend outside the city. It’s a curated menu of trips, from wine tasting escapes to stress- bashing hikes to lake house trips with your crew. 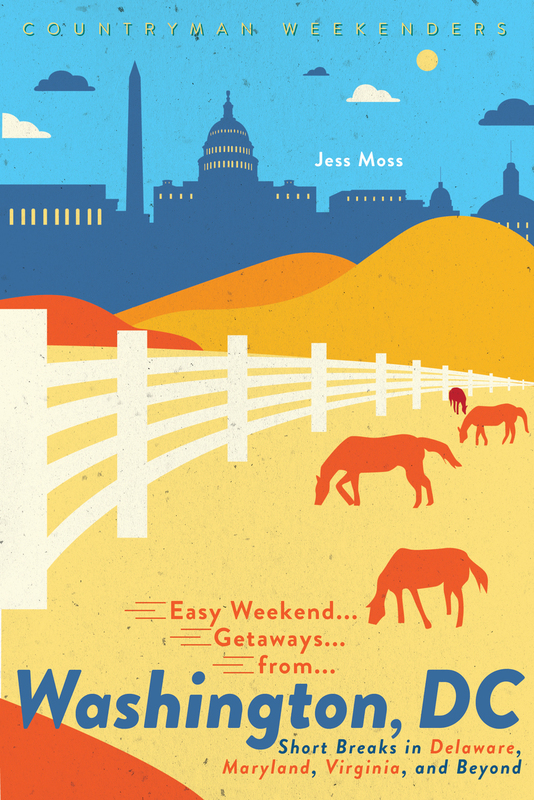 Jess Moss is a DC- based travel writer, editor, and photographer, and a former staff editor for Fodor’s Travel and AOL travel. She is the co- founder of Travel Massive, a networking group for travel professionals in the DC area.